When looking for office space you should always take a tour to make sure you are familiar with all that it has to offer you and your clients as well as what exactly is included in your lease. One of the most important things you should look for is the safety of your potential office space. Not only for the outside of the building but for your personal office as well. Most of our clients here at Solutions are the business owners and do not always work inside of the normal office hours which are 8:30 am to 5:00 pm and need to feel safe when doing so. We have key fob access cards that allow only full time clients to enter the building as well as enter the doors on the 3rd and 4th floors. Along with key fob access to those doors, you will have a key for your individual office. We want you to feel safe may you be working at 5:30 am or 10:00 pm. A big thing potential clients should look for is parking space availability. Most of our competitors require you to purchase a parking space with a monthly fee. Here at Solutions, parking comes included in your full time lease at no extra cost. We have plenty of over flow parking around the building for yourself as well as your clients and guests, so you do not have to worry about them paying to park or there not being any available. You can however, purchase a parking space for a monthly fee if you would like to always have the same guaranteed spot, but it is definitely not required. During your tour you should take a look at the common areas of your potential office space. Areas such as the restrooms, hallways, reception area and the lobby. These are the areas that your clients and guests will see and will give them an impression about your company. What kind of conference rooms are offered? We have 3 beautiful conference rooms readily available for you at no extra cost when you lease a full time executive suite. Also, for your personal use, check out the kitchen and copy room. Is coffee provided? Are supplies out and ready for you to copy, print, and mail? Solutions provides state of the art copy machines for your use as well as any mailing supplies you need. We have a postage machine at reception which makes it easy for you to drop your mail off with us and we will send it out. What is around your potential office space? Take a look around the area, are there convenient lunch spots? A grocery store? Shops? Yes! We have all of those things around Solutions Office Suites. 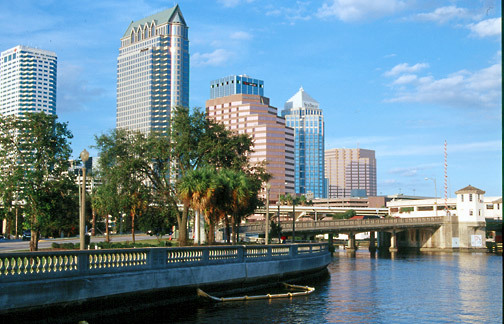 We are centrally located in the prestigious area of Hyde Park near downtown Tampa. 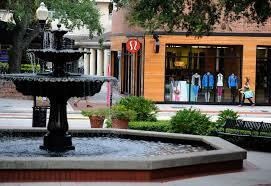 We have tons of dining areas, shops, and even a Publix minutes from us. When you are a business owner, time is money! What a better way to save time than a health club minutes from our location, so you can throw your excuses out the window. When looking for office space, on top of the obvious location and price, make sure to keep these other points in mind. Convenience to your daily needs is sometimes exactly what you need to keep your mind on your business! To schedule a tour, please call Tricia Valdez at (813) 229-1500 or email at tvaldez@solutionsofficesuites.com. We look forward to hearing from you!